It’s with deep sorrow that we learned last night of the execution of Bassel Khartabil Safadi. Bassel was a hero to the members of our movement, to many communities around the world and to all Syrians. But we also knew him as someone else—Noura’s husband. He was the disappeared love of a co-founder of our movement. We watched her fight to free him, we listened to her talk about their deep love and the beautiful moments they shared. We stand in solidarity with you our dearest Noura. Noura your loss today is a loss for all Syria, for all mothers, fathers, husbands, wives and brothers and sisters. It’s a loss for every Syrian family. Bassel was a free soul who worked to bring change to his country and we, along your side, will continue his journey. Bassel will remain a role model for our children and grandchildren. Like all of our missing loved ones, he was a believer in peace, education and innovation as the only means by which Syria can be rebuilt. Unfortunately, in Syria it is these very people that are the ones who are being taken away from us. We will carry their beliefs that change can only happen by these means, and through dialogue and peaceful activism and not through violence. Last night was a difficult night for us and many other Syrian families with loved ones who are detained or disappeared. Fear and sadness gripped our hearts with your news and we felt as if our wounds had been reopened. When we last met you said ‘We should not give up.’ Stay strong Noura. Continue to be Noura that we know, an advocate for the freedom of all detainees. Your positive spirit and laughs has kept us going at very difficult times and you are vital to our movement and to our cause. We were dreaming of the day when we could celebrate with you and Bassel and with all our loved ones around. Today we mourn with you. It’s our right to do so. Then we will continue. First posted on the Families for Freedom Facebook page. 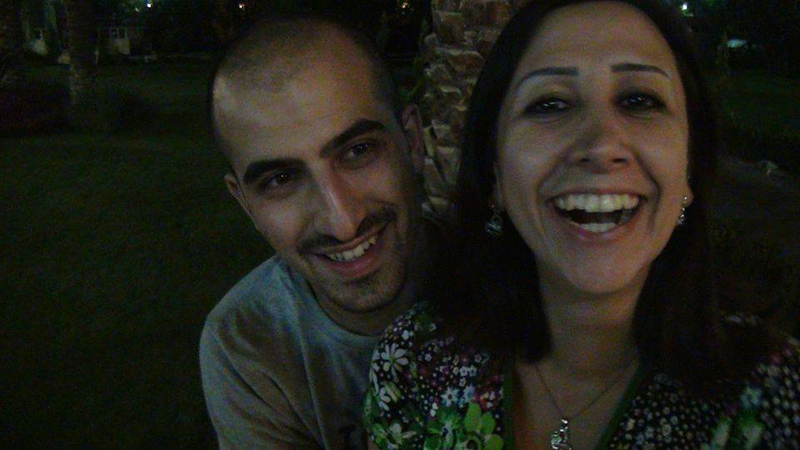 A Love Letter to Jailed Syrian-Palestinian Bassel Khartabil, by Leila Nachawati. Creative Commons statement on the death of CC friend and colleague Bassel Khartabil. We are Syrian families demanding freedom for all the country’s sons and daughters. These demands are not just for our own families, but for every Syrian family with a detainee. Our position is against enforced disappearance and arbitrary detention by the Syrian regime and all parties to the conflict. We want to mobilise the public to pressure all sides to comply with our demands. We will continue to expand our collective effort to include the largest number of families, regardless of their affiliations.